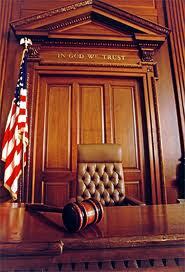 Appeal or Motion to Rehear in Florida Family Law Cases? To File an Appeal or a Motion for Rehearing or Reconsideration? A motion for rehearing is limited to final judgments, while a motion for reconsideration can be applied to a non-final order. The two terms are often used interchangeably. To avoid repetition, on this page, the term "rehearing" includes "reconsideration". When is an appeal justified (What Can Be Appealed) ? Why appeal instead of seeking a rehearing first? First it is important to understand the rules that govern motions for rehearings, under 1.540, of Florida Rules of Civil Procedure. They are designed for jury trials. But they also allows parties to bypass filing a motion for a rehearing of a non-jury trial (which applies to all family law cases) and to simply appeal its resulting final judgment. Every appellant wants a reversal of some portion of the final judgment and wants it as quickly as possible. It is true that a client of a family law attorney may file a motion for a rehearing prior to filing a notice of appeal. And it makes sense for a litigant to seek the “second opinion” of the judge that reviews a jury’s verdict through a motion for rehearing. But, in family law there is no jury, so such a motion turns out to be a waste of time and resources because the trial judge will almost certainly deny it. In the rare situation where pertinent events (such as an involuntary reduction in my client's income, which can affect alimony or child support) occurs between the trial and the actual entry of the final judgment, appeal courts have held that family courts may grant a rehearing and modify or reverse its judgment. But if these events happen after the entry of the final judgment, they become “substantial changes in circumstances” and the litigant must file a petition for modification, not a motion for a rehearing. You will inform me about the family court case you seek to appeal. I will give you a my opinion on the merits of the appeal or rehearing and its chances for success (possibly subject to further research after the consultation). If we both agree on proceeding with the appeal, I will quote you a fixed attorney retainer fee (not an hourly rate), whose total you will know before signing a contract or making a payment. Your appeal from a family court to the District Court of Appeals could be related to a final family court judgments on divorce, such as alimony, child custody or support, property distribution and relocation with children, or to paternity matters, interpretation of prenuptial agreements, enforcement of the court's decrees, court rulings on cases related to the Florida Department of Children and Families (DCF) or other family law issues. Our retainer fees for appeals of final orders in Florida range between $3,600 and $6,000 depending on their level of complexity. For non-final orders they are between $2,400 and $4,800. See Our Retainer Fee Policies for more information on the costs of our family lawyer services.